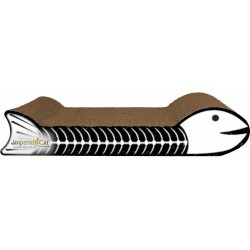 Snails and puppy dog tails, cute bugs and friendly whales, you'll find adorable animal-shaped cat scratchers here! • M.A.X. 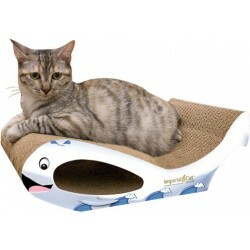 Cat Scratchers and Imperial Cat Scratch 'n Shapes provide a place to scratch, sleep and play. • M.A.X. 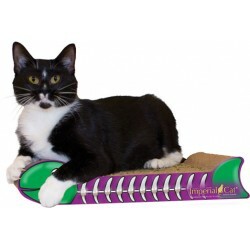 Cat Scratchers and Imperial Cat Scratch 'n Shapes come in hundreds of fun shapes, designs and colors! • M.A.X. Cat Scratchers and Imperial Cat Scratch 'n Shapes come with Cat Claws Naturally Nip catnip or Imperial Cat Certified Organic Catnip for safe, natural kitty fun! • M.A.X. Cat Scratchers and Imperial Cat Scratch 'n Shapes allow for visual scratch marking, a big reason why cats need to scratch. • Cats will stop scratching your furniture and scratch the M.A.X. 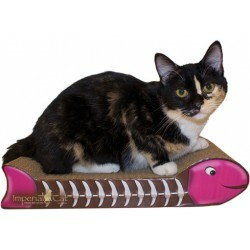 Cat Scratcher and Imperial Cat Scratch 'n Shapes - we guarantee it! M.A.X. Cat Scratchers and Imperial Cat Scratch 'n Shapes are made in the USA from renewable corrugated cardboard and are completely safe for your cat. They can be recycled and come with 100% pure Cat Claws Naturally Nip catnip or Imperial Cat Certified Organic Catnip - a feline favorite for over 30 years! USA Animal Pals Cat Scratchers There are 22 products. One of our best sellers! 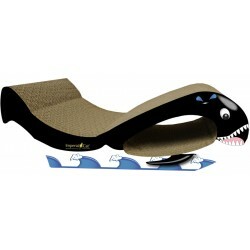 The Large Whale & flowing tail is the perfect place to curl up for a nap. Scratch, play and snooze! 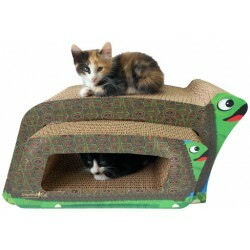 This deluxe cat activity center features two scratchers in one. 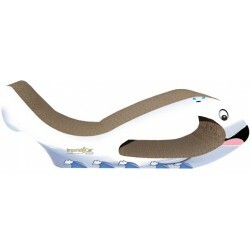 Provides your cat with a natural scratching surface to keep their claws honed and healthy. 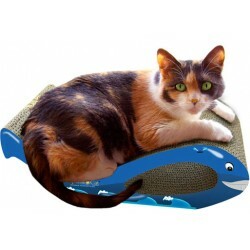 Cats will have a whale of a time scratching, playing and snoozing on this adorable scratching post! 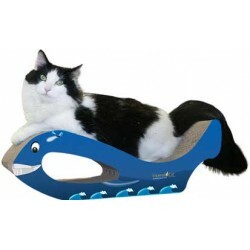 The Small Whale Scratchers are contoured especially for your cat. Ahh, sweet revenge! 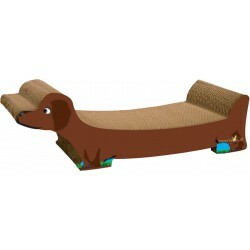 Cats love to dig their claws into this adorable scratching post that also doubles as a lounger.